Medical items will let you restore your own, another player's or an NPC's HP. They can be produced by any medical faction. 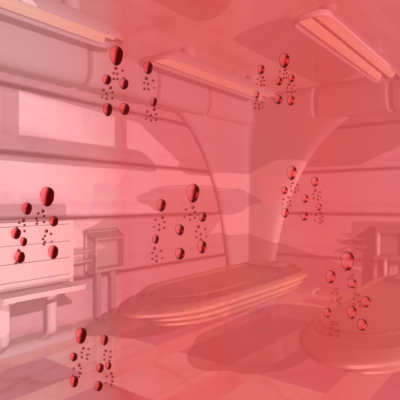 You and your target need to be at the same location (in the same medical room for Bacta Tanks). You and your target must be in the same party. You and your target must not be part of another medical action. For Bacta Tanks and Medikits: You need enough Bacta Refills inside the entity. For Bacta Tanks: The Tank must be deployed in a medical room and you and your target must be in the same room. While being part of a medical action, neither you nor your target can move. Additionally, when applying a medical item, your target is automatically removed from your party. Before being put into a Bacta Tank, the target automatically drops all equipped items. Trading factions may produce counterfeit medical items or drugs which look exactly like some medical items. These drugs are mainly made from Ryll and are cheaper to produce. However upon using them as medical item, they can have negative after effects and wound rather than heal. The experience gained from healing is half of what the restored HP was. Veynom has 12 HP left of his maximum of 85 HP. He has a Medical Skill of 2. He applies a Bacta Patch to heal his wounds. Bacta Tanks can only be deployed in medical rooms. For a bacta tank to be deployed, it must be inside a medical room and no other tanks can be deployed in the same room. (i.e. you can only deploy a single tank in a room). Bacta Tanks will fully heal the patient. However, if they are contaminated with Ryfill, the patient's health will be set to a random point between 1 and the patient's max HP, even if this is less than the patient's current HP. Once deployed, the tank can be loaded with up to three Bacta Refills. Once a single refill is loaded, the tank cannot be undeployed, nor can the refill be taken out again. You cannot load more than three refills. Once three refills have been loaded, you can apply the tank to a patient (either yourself, another player or an NPC in your party). At that time, the patient will drop all items he's carrying and is loaded into the tank. He will be ejected in 10 hours, once the healing process is completed. You may only monitor a limited number of Bacta Tanks at once. Any player can add an unconscious player to their party, and a Bacta Tank can be used to heal them above 0 HP. Bacta Tanks can be flushed, removing any previously loaded Bacta Refills (or Bacta Ryfills) in the process. This can only be done if no patient is present in the tank. The following entities contain one or more medical rooms, and thus the healing power of any medical item used within them is inreased by a factor of 1.3.